Word After Word is excited to be working with Cómpeta Yoga on Writing for Wellbeing, a half-day mini-retreat exploring how expressive writing can contribute to health and wellbeing. We have a special Lapidus workshop on Sunday 19th November which will be jointly run by local writer Rommi Smith and composer Emily Levy. The sessions will be a mixture of writing and discussion. You are invited to the Haygarth Lecture on November 16th - a free public lecture which has a focus on the arts contribution to public health, and the influence that the arts have on health and wellbeing. A workshop combining family constellations and creative writing for therapeutic purposes. In 2018, The Centre for Work Related Studies at the University of Chester is celebrating 20 years of innovative programmes delivering negotiated work based learning across the globe. Their celebration is focusing on how their unique approach facilitates working, learning and adapting. Anyone who visits Aldeburgh on the weekend of 3rd - 5th November will be delighted with an offering of poetry, music, film and art in the town by the sea. 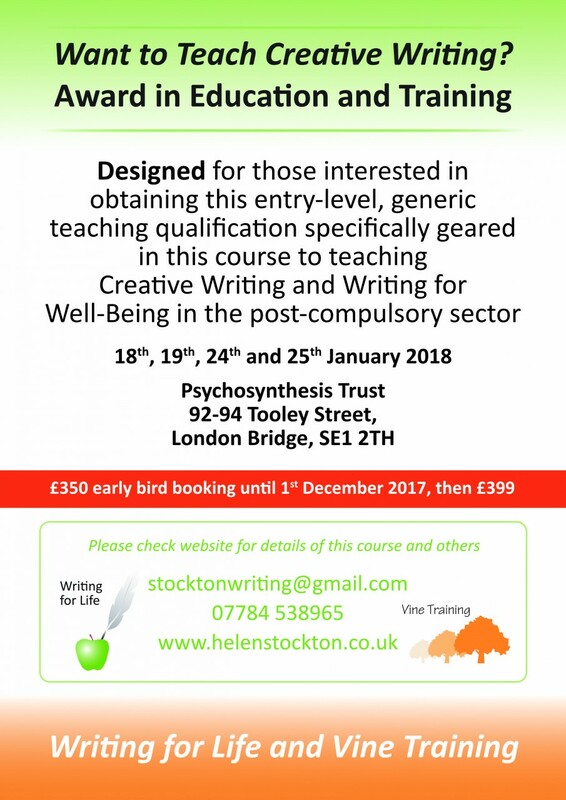 For anyone interested in developing their physical storytelling skills to build confidence and enhance emotional mental wellbeing. Workshops starting on 30 October. I started working with yoga teacher Ash Bond four years ago. At that time I had recently completed my yoga teacher training and was about to embark on an MA in Creative Writing. Join us as we celebrate the launch of the newest regional group to join Lapidus International: Lapidus Wales. I'm pinching myself as I sit in Professor Tony Attwood's glass consulting room, looking out over a tropical garden of palms and guava trees down towards a creek surrounded by lush greenery. As he talks, a two foot long, scaly green and yellow lizard hops onto a rock outside his window, tail thrashing. It's all I can do not to squeak.